Patrick cited a "lewd comment" by Seliger in explaining the move. The two have been tussling over committee assignments in recent days. Announced Tuesday afternoon, the demotion caps a weekend spat between Seliger, an Amarillo Republican first elected to the Senate in 2004, and Patrick. The two have found themselves at odds with one another after Seliger voted against two of the lieutenant governor’s priorities in 2017. Patrick said the demotion came after Seliger failed to apologize for a “lewd comment ... that has shocked everyone” — a remark made on a West Texas radio program suggesting that a senior Patrick aide kiss his "back end." The tiff started Friday, when Patrick released committee assignments for the legislative session, stripping Seliger of his longtime post as chairman of the Senate Higher Education Committee and taking him off the committee entirely. Instead, Seliger was appointed chair of a newly created agriculture committee, which split off from a larger committee. Patrick said only that committee assignments were “based on a number of factors.” Seliger called the snub “a very clear warning” that Republicans better toe the line, teeing up the battle. In an interview over the weekend on the radio show the "Other Side of Texas," Seliger shot back one more time. Patrick announced Tuesday that he removed Seliger from his leadership position after the veteran lawmaker declined to apologize for that remark. “I will appoint a new Agriculture Committee chairman shortly,” Patrick added. Seliger could prove a thorn in Patrick’s side. After losing a Republican seat in the Senate in the 2018 midterms, Republicans hold a razor-thin supermajority; all 19 Republican senators must vote together to bring measures to the floor without Democratic support. A “no” vote from Seliger on partisan issues could jeopardize the lieutenant governor’s agenda. The demotion leaves Seliger as one of just three returning Republicans without a chairmanship. 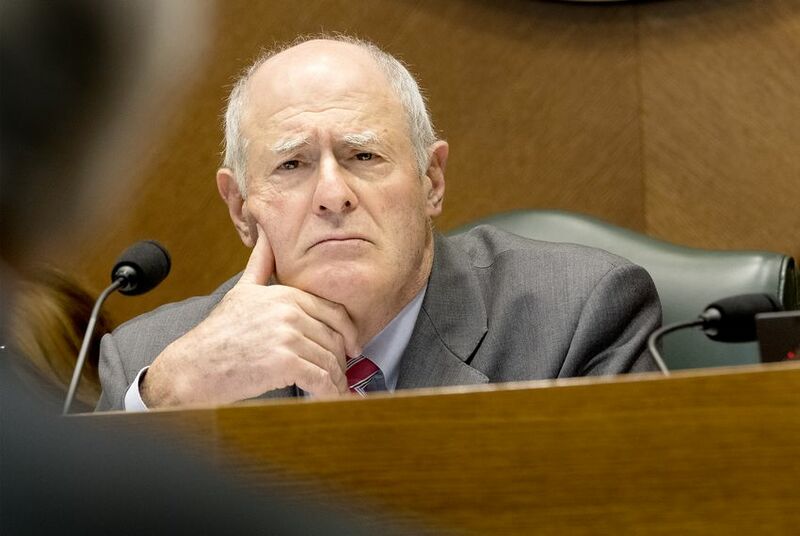 The others are Sen. Bob Hall, R-Edgewood, and Sen. Charles Schwertner, R-Georgetown, who voluntarily gave up his chairmanship after an inconclusive University of Texas at Austin Title IX investigation into whether he had sent lewd texts to a graduate student. While Patrick explicitly attributed Seliger’s demotion to the “lewd comment,” the lieutenant governor’s office wouldn’t confirm whether Patrick asked Schwertner to give up his post over the sexual harassment allegation he faced. After first taking a wait-and-see approach to the investigation, Patrick’s comments on Schwertner’s request were limited to saying the move was “consistent” with his plans for chair assignments. Hall and Schwertner are the other two Republicans on the agriculture committee.